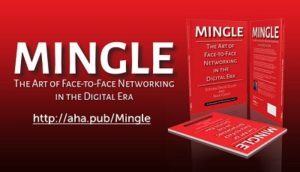 This week’s five AHAs are from the AHAbook™ Mingle: The Art of Face-to-Face Networking in the Digital Era. Please share this URL “aha.pub/Mingle” in your social media status update to let your friends know about it. Physical networking can bring about big opportunities for you and your business. The people you meet when you network can help you achieve your goals if you do it right. Trust is something that you have to earn if you want people to do business with you and refer you. To be effective in networking, you need to present yourself as someone who’s authentic and can bring in value to the table. You also need to make use of the tools available to leverage the in-person meeting and networking that you’ve done. Mingle is part of the THiNKaha series, whose slim and handy books contain 140 well-thought-out AHA messages. 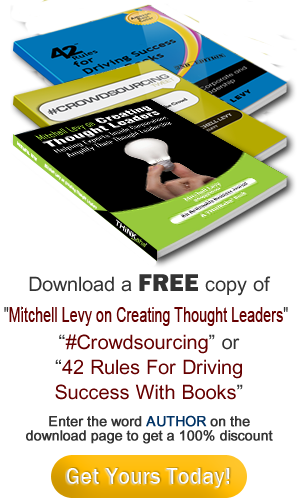 Increase your online influence by picking up AHAthat, and easily share quotes from this book on Twitter, Facebook, LinkedIn, and Google+ via this link: http://aha.pub/Mingle.